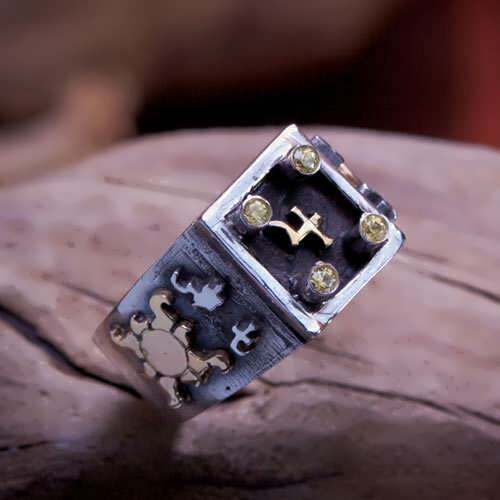 Since Jupiter entered Cancer, the sign of it Exaltation, we managed to find some very auspicious Astrological times for him, and made Talismans on two different occasions. But sadly enough, we have missed the opportunity to make a Talisman for the first time he was in his exaltation degree (15˚ of cancer) which was between the 1-9 of september 2013. Fortunately enough, Jupiter has turned retrograde (for four months, from november 2013 to march 2014) therefore retracing its steps backwards to earlier degrees, making it possible once more to capture this unique and powerful event! 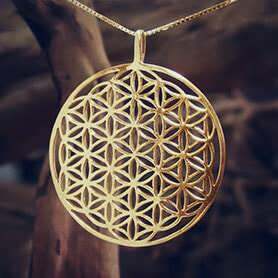 An Exaltation degree is said to be the specific degree in which the Planet is most Exalted, within its Exaltation sign. Next time Jupiter crosses this degree will be 12 years from now. Limited edition! Assembled on April 29th between 9:10-9:48 (GMT+3). Enjoy the powers of the "Great Benefactor" - Jupiter, giving us abundance, success, guidance and support in every action. The reason why this degree is Jupiter most powerful place in the zodiac is a mystery, as is most of the Exaltation degrees doctrine which originated from the Chaldean Astrologer priest’s of Babylon. The answer probably has its roots in Ancient Egypt as this degree was very close to the royal fixed star SIRIUS (today 14˚16’) which is the brightest star in the sky! The chart for this Talismans has Jupiter occupying 15˚ Cancer, and Cancer is rising. The Moon as ruler of the sign Cancer will be in its exact new Moon phase In Taurus its own sign of Exaltation, in the fortunate eleventh house (house of friends, hopes and wishes). 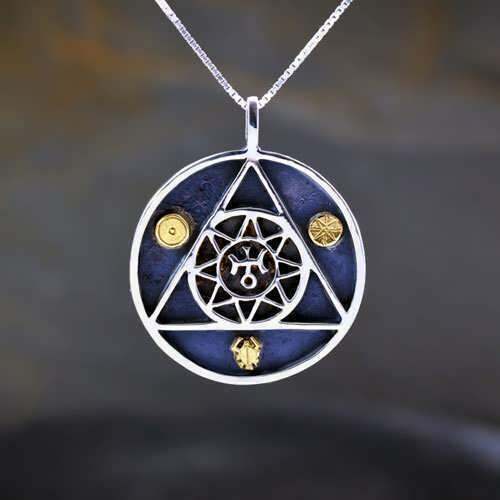 This powerful new Moon is essentially a partial solar eclipse (annular), so we've decided to make the Talisman at the time when the Moon Is “Cazimi” or in the ‘heart of the Sun’ (0˚.17’ orb), which gives The Exalted Moon Tremendous powers!. In this case the partial eclipse status is reinforcing it strongly, as the Moon is more bodily aligned with sun (from the perspective of earth). 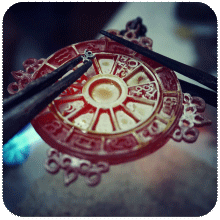 This gives us an even shorter window for completing the Talismans, which will limit greatly the number of Talismans made. Jupiter, as some of you might probably know, Is the ”Great Benefactor“, he is human's most cherished protector, guiding to wisdom and justice. He is the giver of life, magnifying the vital life energy of the Sun while mixing it with its ‘moisture’ thus producing growth, expansion and integration of life. Jupiter is the most prolific and joyful of the planets, expanding our inner and outer horizons, powerfully increasing spiritual visions, insights and philosophical thinking, embedding in us a sustaining inner optimism, giving us abundance, success, guidance and support in every action. 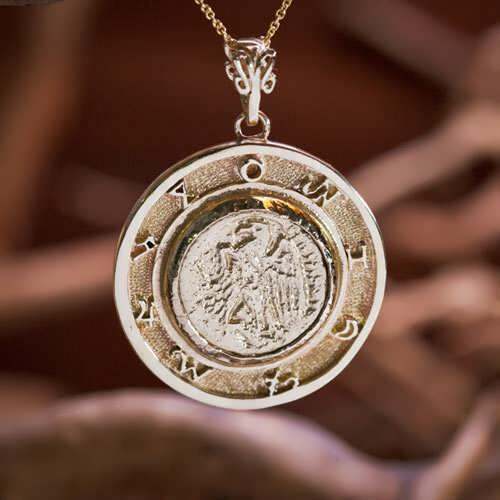 All these qualities and more, are supported and invoked with this powerful Talisman. The combination of Jupiter in Cancer, reinforces those qualities and virtues powerfully as the “Cancerian waters” which generates and sustains life, greatly fertilizes the Jupiterian energy of growth and expansion. Cancer gives also an emphasis on nurturing and supporting the emotional needs of the heart, helping us to open up and receive the gifts of friendship, partnership and family. 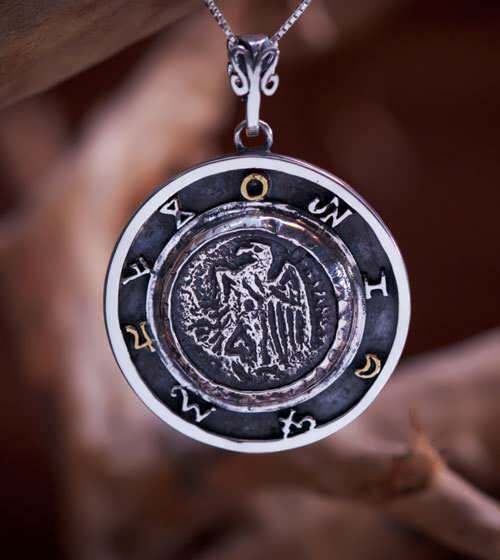 The central image in this talisman was taken from the Greek and Roman mythology. 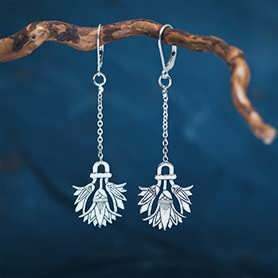 It is the Aquila - the Roman/Greek symbol of Zeus/Jupiter’s powerful eagle who served him as a messenger. 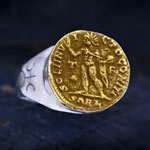 It is a replica of an ancient Roman coin from my private collection. 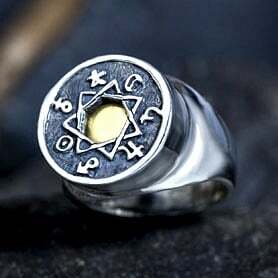 The symbols on the outside ring are some of the ancient magic seals of Jupiter. 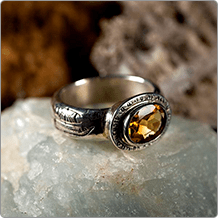 The central image on top of the ring is the astrological symbol of Jupiter surrounded by yellow sapphires - the “traditional stone” of Jupiter. 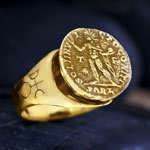 The symbols on both sides of the ring are ancient magic seals of Jupiter. Amidst the powerful Astrological drama of the historical cardinal cross, (that will be at its peek in 18-24 of April) and the challenges that it provokes in our lives, there will also be a very Rare and beautiful binding of cosmic energies - A Trine (harmonious aspect) between the two ‘Benefic’ planets, Venus and Jupiter. This is not a regular Trine but a very strong one, as Jupiter and Venus will both be in their own Exaltations (Jupiter in Cancer and Venus in Pisces). This is a pretty rare occurrence considering Jupiter visits Cancer once in 12 years. Also, Jupiter is the planetary ruler of Pisces, so he is also “receiving” Venus into its own sign, which makes this connection even more powerful and unique. 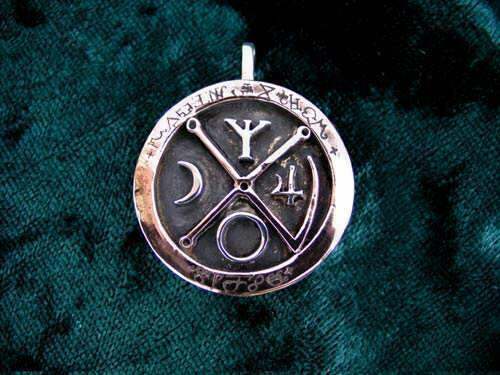 The Talisman’s design is a blend of Venus and Jupiter magical symbolism. 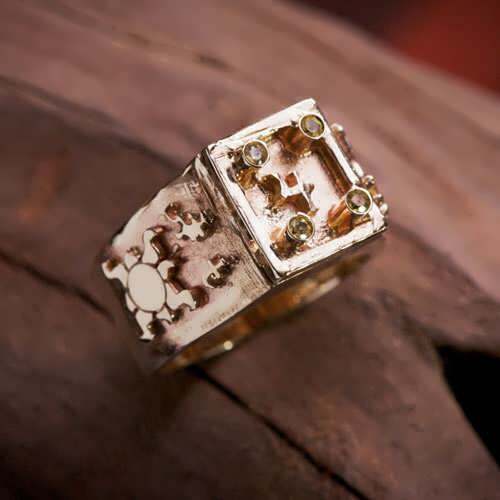 This combination of the two 'benefic' planets makes a very strong Talisman for protection, happiness, love, joy, optimism, and healing of the heart. 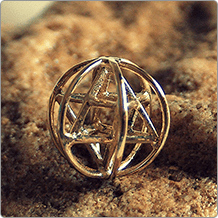 It is a Talisman for success, well being and general good fortune and abundance. 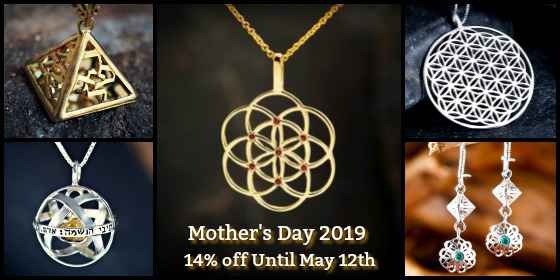 15% Discount - valid until April 12th. 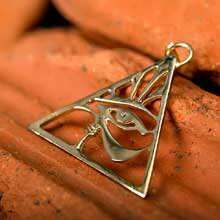 This Talisman was created On April the 2nd 2014 between 6:15 - 06:55 (GMT +3), when the Sun was making a bodily alignment (conjunction) with Uranus in Aries in the same zodiac degree. This alignment activates the Uranian energy with a strong solar force (The Sun is very strong in Aries,The place of it's exaltation). Uranus represents the breaking of limitations that inhibits growth and change. It represents the spirit’s need for freedom, excitement and novelty. Uranus is the Prometheus in every one of us, the passion for the “fire of the gods” and the need to share it. It is the spark of our uniqueness and ingenuity. It is the power of change, of the radically new and enlightened, the power of revolution from conformity and narrow perspectives that pushes us to evolve! 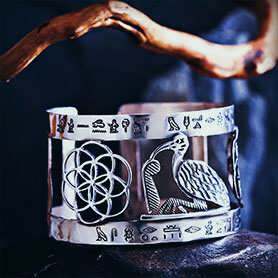 The symbol in the middle is of course the astrological sign of Uranus while the three symbols surrounding it are the ancient Assyrian, Babylonean and Egyptian symbols of the Sun. 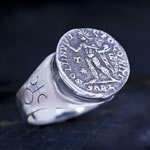 The ancient coin on top of the ring is an accurate replica of an ancient Roman coin bearing the Image of Sol the Roman Sun god with the "Sol Invictus"- Sol the Unconquered" symbolising the rebellious spirit of the Uranus/Sun combination.